Airbnb and San Francisco have settled their dispute over short-term rental regulations. Airbnb sued its hometown city after San Francisco set a new rule last summer requiring all hosts to register with the city through an in-person process. The two parties settled on Monday: Airbnb will register its San Francisco hosts, and the city will make it possible to obtain registrations electronically. "We do believe we need to partner with cities ... We, as a platform, do fundamentally believe that platforms need to take responsibility," Chris Lehane, Airbnb's head of global policy and communications, said on a call with reporters Monday. Lehane referred to litigation against the city as "only a matter of last resort." The legal battle began last year, when San Francisco unveiled the new registration rule. Under that law, Airbnb -- and other homesharing companies like HomeAway, which filed suit jointly with Airbnb -- would be fined up to $1,000 a day for each listing. This placed the onus on platforms to make sure each listing on their sites is legal. The city's $50 analog registration process also required submitting all the documents in person, which proved a hindrance. But on Monday, City Attorney Dennis Herrera announced the settlement agreement. As part of the deal, Airbnb and HomeAway agreed to set up online "pass-through registration" systems with the city. When hosts register with Airbnb, they'll be informed that their information (name, address and zip code) will be shared with the city -- who will be in charge with approving registrations should they choose to move forward with listing their rentals. Their information will then be sent over to the Office of Short-Term Rentals for approval. Registration numbers from that office -- or at least proof of a pending application -- will be required for all San Francisco listings. Additionally, the sites agreed to turn over information about all San Francisco listings every month to verify that all hosts are indeed registered. All existing hosts who did not register with the city would be purged from the site. The settlement still needs the blessing of San Francisco's Board of Supervisors. If and when that happens, Airbnb and HomeAway plan to drop their lawsuit and move forward with the agreement. 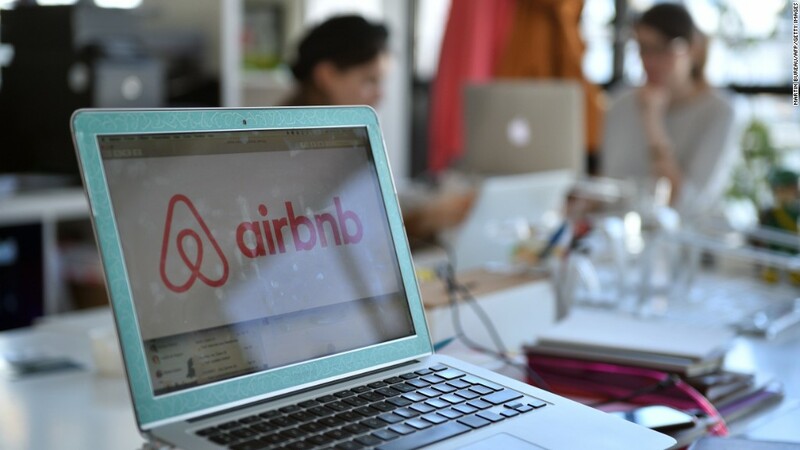 Lehane, the Airbnb policy chief, said he expects it to take roughly eight months to get the system up and running so it is compliant with the new agreement, citing similar implementations in other cities including Chicago, Denver and New Orleans. Lehane declined to comment on host retention numbers in those cities. According to the City Attorney's office, there are 2,100 registered short-term rental hosts in San Francisco -- but Airbnb has more than 8,000 listings in the city. "This will help prevent our precious housing stock from being illegally turned into de facto hotels as we work hard to turn the tide on San Francisco's housing crisis," said Herrera, the city attorney, in a statement. "We've crafted this agreement to give people enough time to comply with the rules and to make it easier for them to follow the law."